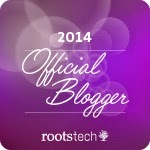 Sad you won't be in Salt Lake City to experience RootsTech 2014 in person this next week? Thank-fully selected sessions are scheduled for live streaming right to your computer, wherever you are in the world with internet access. Sessions begin Thursday, 6 February and run through Saturday, 8 February.